While very few children under the age of 18 are injured due to use of weed whackers and other power lawn trimmers, it is important to keep a few safety precautions in mind while using. Never allow children to operate a weeder. Given their size and weight, most weeders cannot be operated by young children. Be sure to explain that they must never put hands or feet in line of the cutting implement. If using an electric model, ensure the extension cord you’re using is rated for outdoor use and that it’s plugged into an outlet with a GFCI to prevent electrical injuries. If using a gas model, ensure the engine has cooled completely before refuelling. Start and run your gas-powered weeder outside and not in your garage in order to prevent carbon monoxide poisoning. You should wear eye and hearing protection when operating your weed whacker, especially gas-powered models which can be very loud. Always read and follow the manufacturer’s instructions for setup, use and cleaning of your weeder, and don’t hesitate to contact them if you should have a question about something specific that isn’t covered in your user manual. 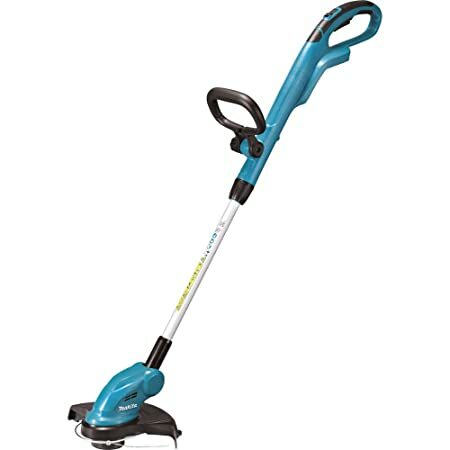 With the above information in mind, in no particular order here are 50 of the weeders that we consider best, based on available features and average customer ratings and reviews. 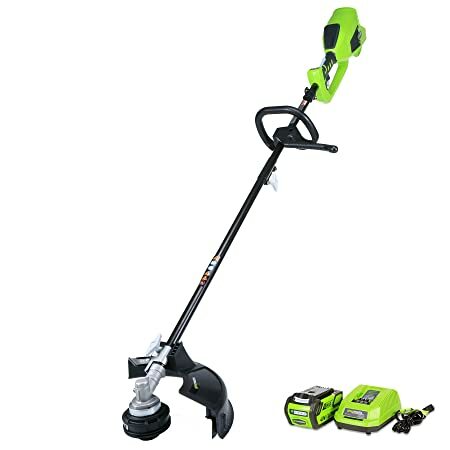 This string trimmer comes complete with a 40V rechargeable battery and features a unique PowerCommand dial that allows the operator to choose between using the weeder at maximum power or maximum runtime. This corded string trimmer is available in a number of size configurations to suit outdoor weeding jobs both big and small, and features a lightweight design that helps reduce operator fatigue. 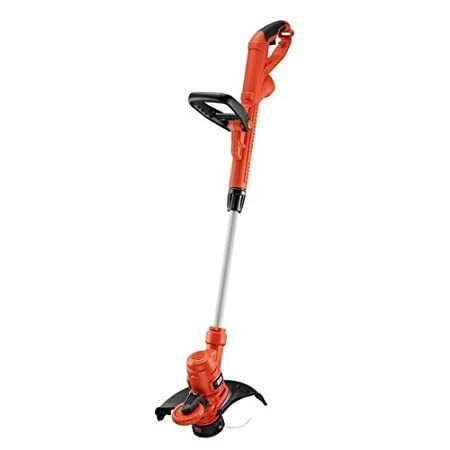 This battery-powered string trimmer features a brushless motor that helps to maximize motor efficiency and durability, and boasts a wide 13-inch cutting width to help cut down on your chore time. 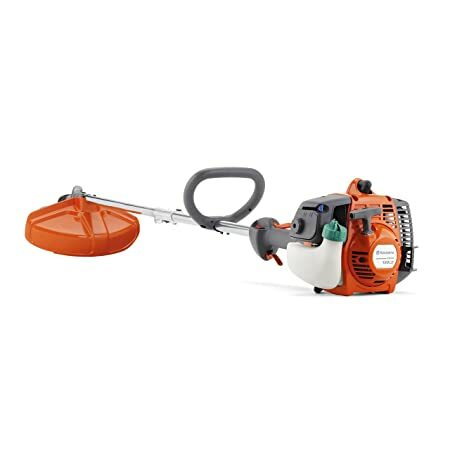 This gas-powered trimmer boasts a 17-inch cutting width and features an easy start system that reduces the need for special fuel and oil mixes that traditional gas-powered trimmers use. 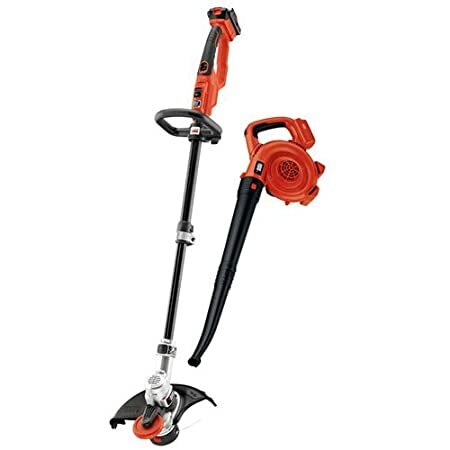 This corded electric string trimmer features a lightweight and ergonomic design that helps to reduce operator fatigue. It boasts adjustable height and pivoting handle positions, giving the user maximum comfort and control. 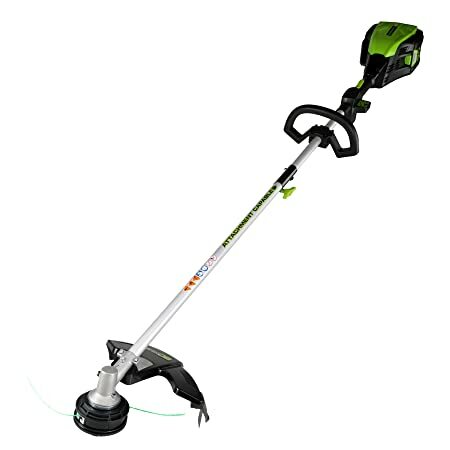 This cordless string trimmer offers a lightweight design that is comfortable to use, without sacrificing on efficiency. It features an easy push button start and boasts a 13-inch cutting path. 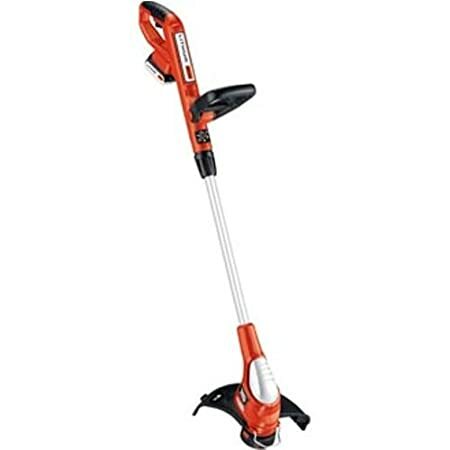 This corded electric weeder comes complete with a powerful 5 amp motor and boasts a 14-inch cutting swath. The telescoping shaft and adjustable assist handle allow the operator to make size adjustments while providing extended reach for those tricky spots. 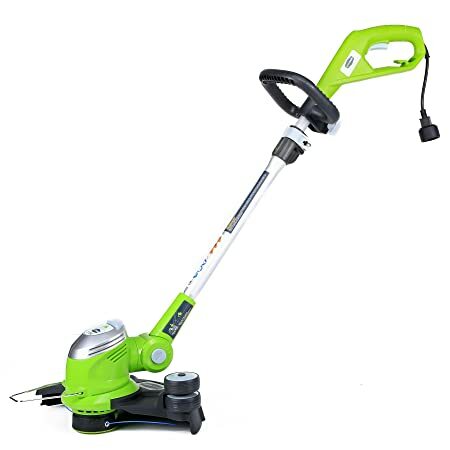 This corded electric trimmer offers an incredibly lightweight design at just 4.5 pounds, and the built-in auxiliary handle helps to cut down on operator fatigue. 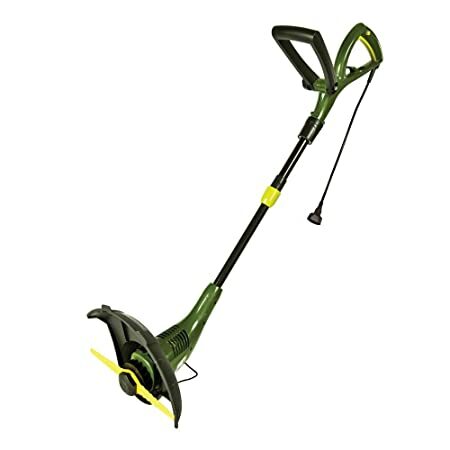 It boasts a 13-inch cutting path and is tough enough for even dense grass and weeds. This battery-powered cordless weeder easily converts between functions in just seconds without the need for any tools. 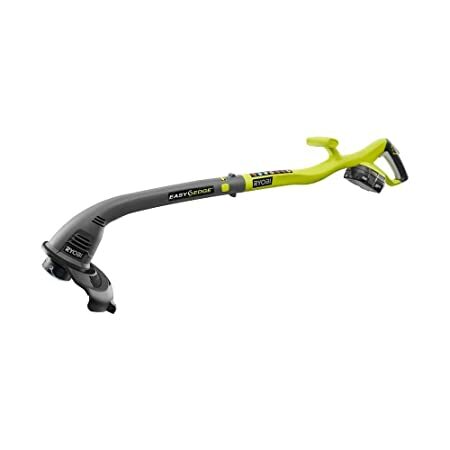 It boasts a 12-inch cutting path and telescopic height adjustment, thanks to a quick-release lever. 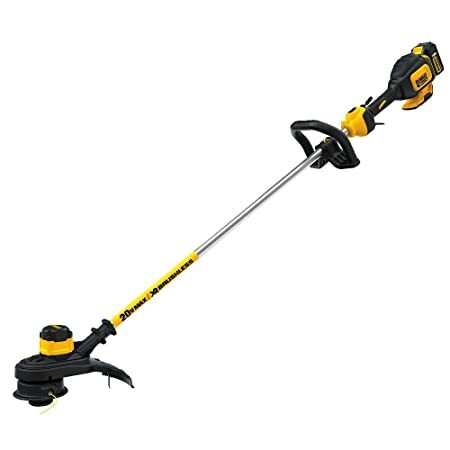 Available in a choice of configurations to suit your yard maintenance needs, this corded electric trimmer boasts a wide, 18-inch cutting path that helps to cut down on your chore time. It is also gas attachment compatible, offering the practicality of many tools in one. 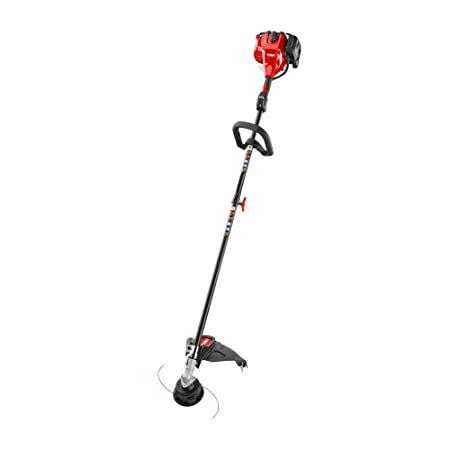 This battery-powered cordless string trimmer features a power saver mode that allows for an extended runtime, and the wall mount storage hook allows for convenient storage in your garage or shed. This combination set includes an electric leaf blower along with a battery-powered string trimmer to help make light work of your outdoor chores. They feature a lightweight design that helps reduce operator fatigue. 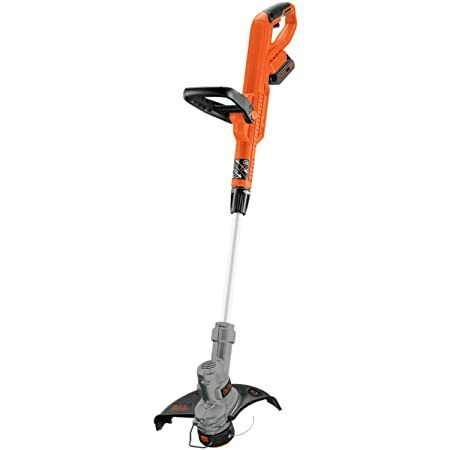 This string trimmer comes complete with a 56V lithium-ion battery and high efficiency brushless motor to offer reliable, durable usage. 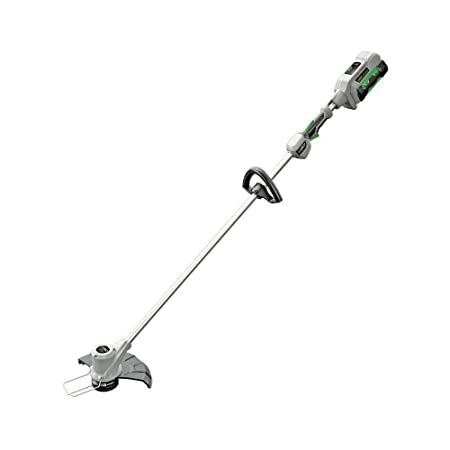 It features a 15-inch cutting path and an extended shaft to help reach those tight spaces. This gas-powered weeder features a lightweight design and raised handlebar position for an ergonomic design that helps to cut down on operator fatigue. There’s no complicated oil and fuel mixing required and it has been designed to start with minimal user effort. This battery-powered cordless weeder boasts an adjustable shaft that allows the operator to find the ideal length for comfortable usage, and boasts a power drive transmission that provides increased motor torque for better cutting power. 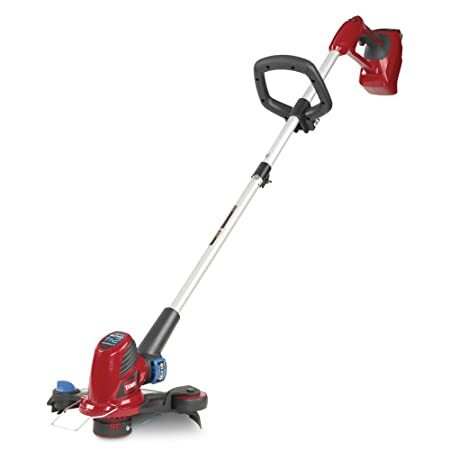 This gas-powered dual line trimmer features strong and sturdy anti-vibration handles to help cut down on operator fatigue and boasts heavy duty tri-blades that are strong enough to tackle even the toughest of jobs. 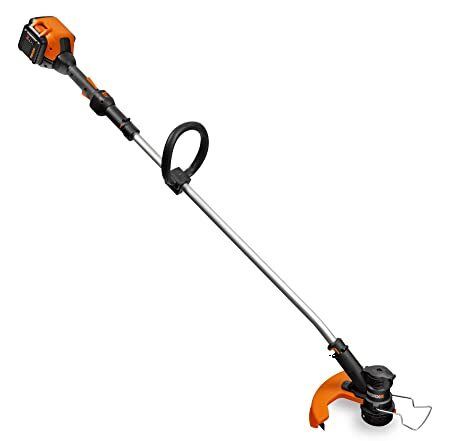 This battery-powered string trimmer features a brushless motor that helps to deliver increased torque and higher battery efficiency. It features a 14-inch cutting path and boasts a relatively quiet operation. 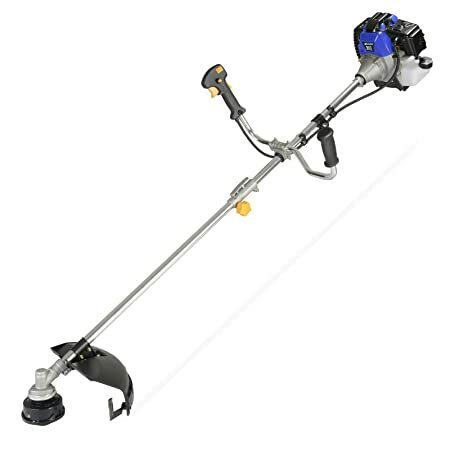 This gas-powered weeder boasts a wide, 17-inch cutting path that makes light work of your outdoor chores and is Husqvarna pro attachment capable, allowing for multiple around-the-yard uses. 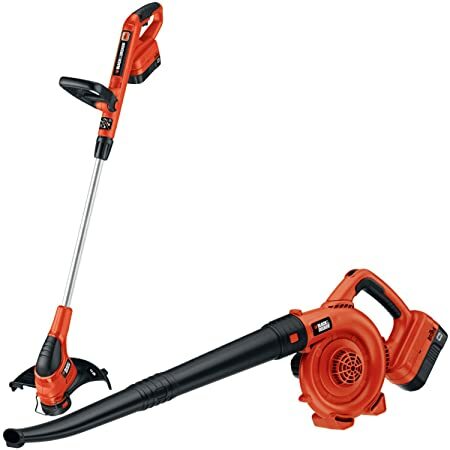 This combination set includes an electric leaf blower along with a battery-powered string trimmer to help make light work of your outdoor chores. They feature a lightweight design that helps to reduce operator fatigue. This battery-powered weeder boasts a lightweight design that helps to reduce operator fatigue and easily converts between functions in seconds without the need for tools. It features a quick-release lever to enable fast, telescopic height adjustments. This gas-powered brush cutter is tough enough to handle nearly any outdoor yard maintenance chore you can throw at it, including tackling heavy weeds and brush. The adjustable J-Handle can be used right or left-handed for added convenience. 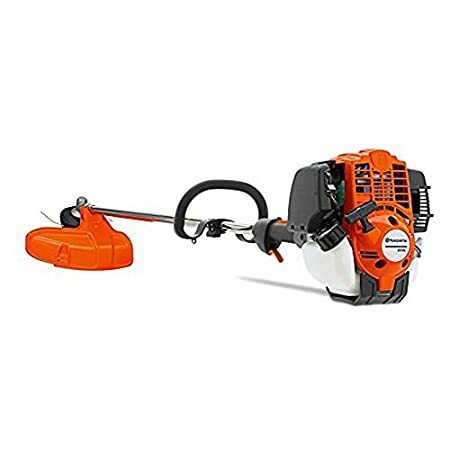 This string trimmer features a unique PowerCommand dial that allows the operator to choose between using the weeder at maximum power or maximum runtime. It is compatible with a choice of 2 batteries (sold separately). 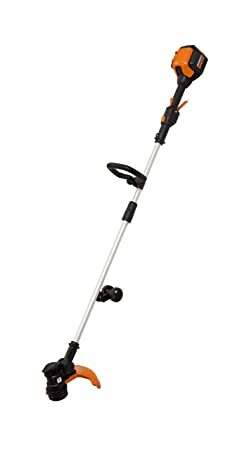 This battery-powered string trimmer boasts a durable, weather-resistant construction with an extended shaft to help cut down on the time you spend doing outdoor chores. The rechargeable battery is compatible with all EGO POWER+ products. 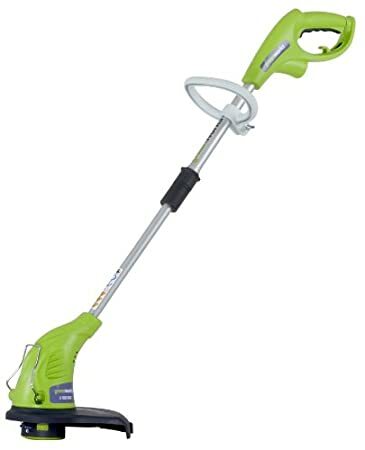 This gas-powered weeder offers durable and reliable power and features a wide, 15-inch cutting width to help cut down on your time spent trimming. 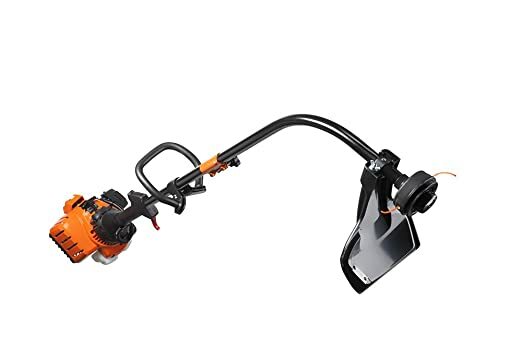 This string trimmer comes complete with 40V rechargeable battery and features a durable POWERDRIVE Transmission that works to deliver more power from the motor to the cutting string, helping to increase runtimes. 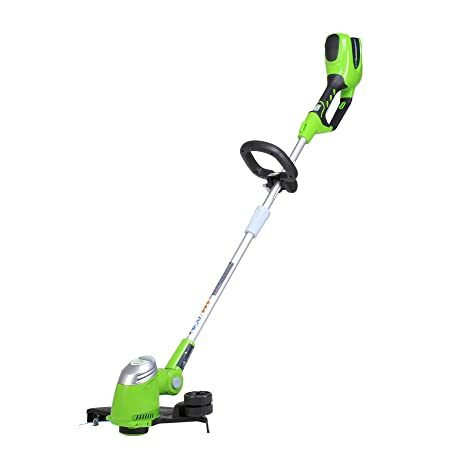 This battery-powered, cordless string trimmer boasts incredibly easy assembly and features an ergonomic front grip to provide increased operator comfort. 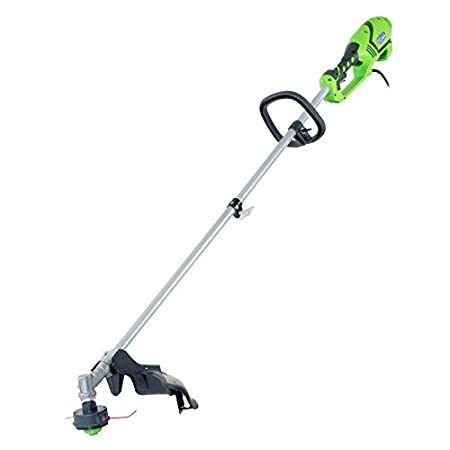 The cutting shaft easily rotates for when you want to convert this unit from a trimmer to an edger. 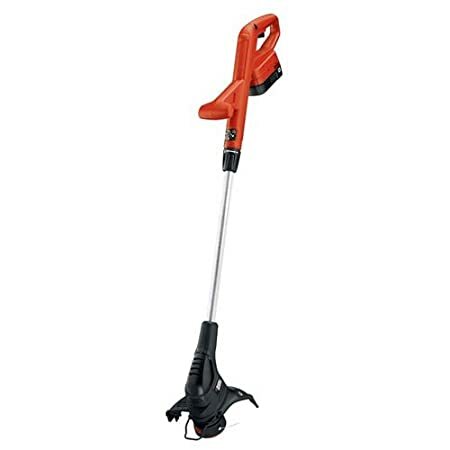 This corded electric string trimmer is available in several sizes that are suitable for most home’s outdoor gardening needs. This unit boasts an incredibly lightweight design that helps to reduce operator fatigue and features an easy electric start. This battery-powered weeder features special technology that allows for increased runtime off a single charge and an adjustable handle that helps you find the ideal length for increased operator comfort and convenience. 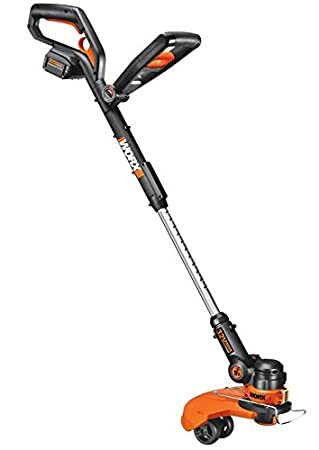 This battery-powered, cordless string trimmer boasts incredibly easy assembly and features an ergonomic front grip and lightweight design to provide increased operator comfort. The cutting shaft easily rotates for when you want to convert this unit from a trimmer to an edger. 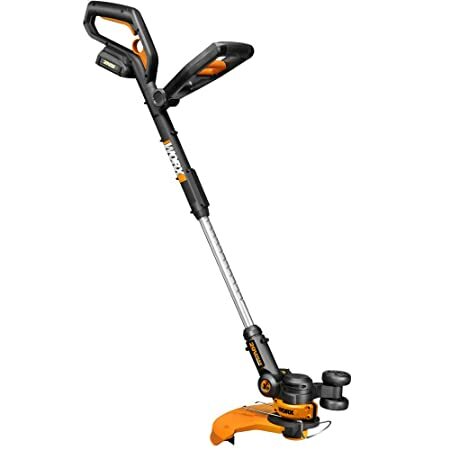 This battery-powered string trimmer boasts an incredibly lightweight design and padded auxiliary handle for increased comfort and reduced operator fatigue. The 6 Ah battery provides up to 50% more capacity, meaning fewer charges and increased runtime. This battery-powered weeder features a lithium-ion battery that provides the operator with a longer runtime and increased charge retention, requiring fewer charges. 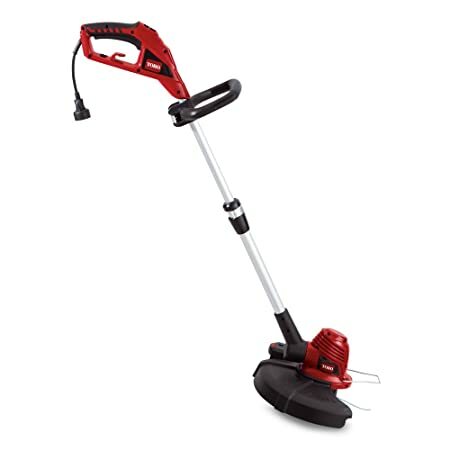 The charger is Energy Star rated and the trimmer boasts a 12-inch cutting path. 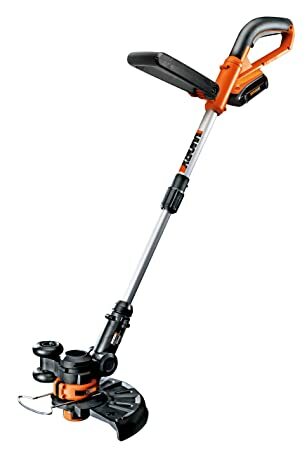 This battery-powered string trimmer comes in at less than 10 pounds, making it a lightweight option that helps to reduce operator fatigue. It provides up to 45 minutes of runtime off a single charge and the battery (not included) charges in just 30 minutes. This battery-powered weeder features an adjustable handle and lightweight design that helps to increase operator comfort while reducing fatigue. You can trim all those hard-to-reach areas thanks to the 90-degree tilting shaft which helps orient the cutting head. 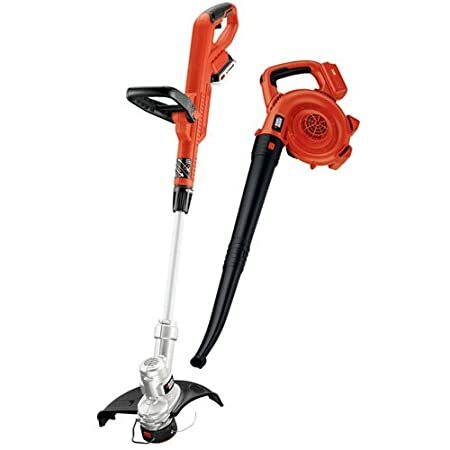 This combination set includes an electric leaf blower along with a battery-powered string trimmer to help make light work of your outdoor chores. They feature a lightweight design that is comfortable to use and helps to reduce operator fatigue. 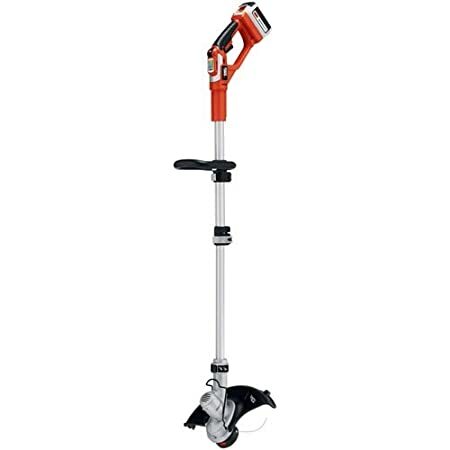 This gas-powered weeder provides a wide, 17-inch cutting path to help make fast work of your outdoor yard maintenance. Thanks to its smart start system, you’ll be up and running with minimal effort, every time you use this trimmer. 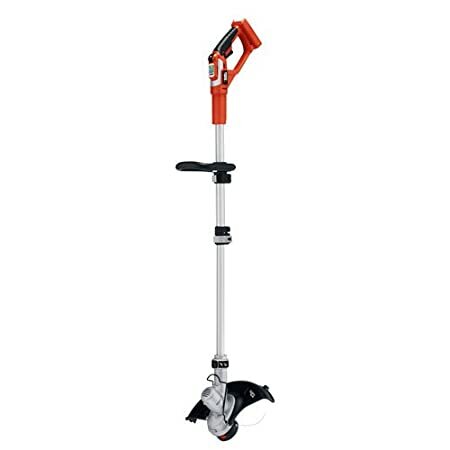 This weeder attachment boasts a 7.5-inch edger blade that can be set up to 2-inches deep, and a large guide wheel for a user-friendly design. It is compatible with most available attachment cable units for added convenience. 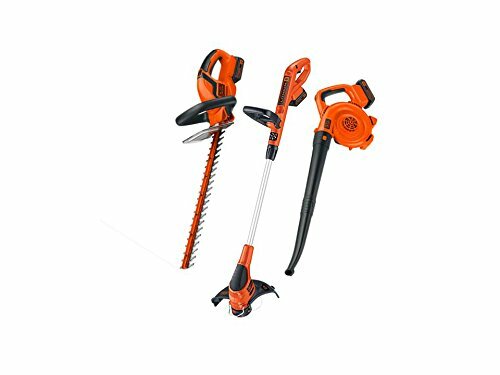 This 3-in-1 kit offers the convenience of a complete lawn care maintenance kit in one and features an electric trimmer/edger, hedge trimmer, and leaf blower. The powerful lithium-ion batteries have been made to provide longer runtime with less charges required. 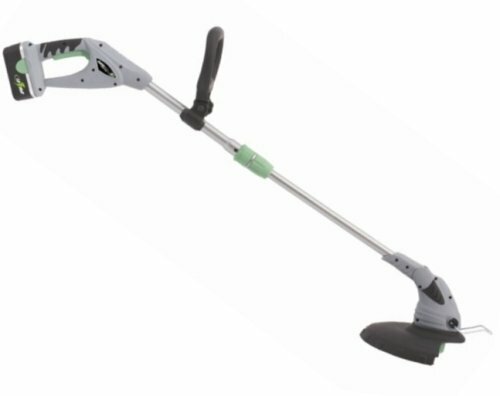 This battery-powered weeder boasts a 3-position adjustable cutting head that allows the operator to get just the right angle for all their trimming and edging needs. With adjustable handles, you’re sure to find the most comfortable operating position. 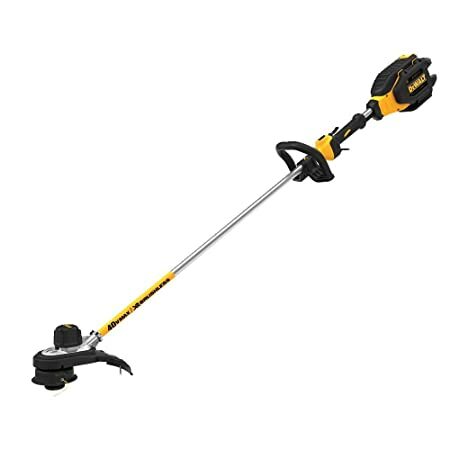 This gas-powered string trimmer features a curved shaft design that provides superior ergonomics for a more comfortable user experience. 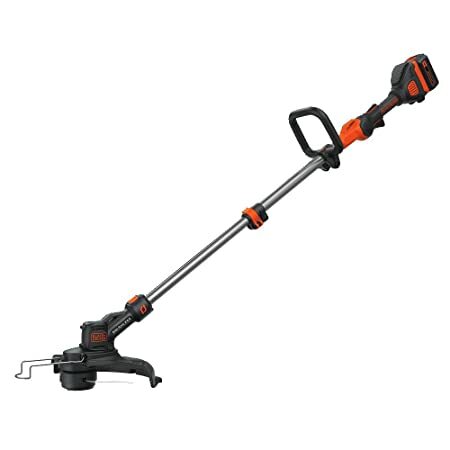 It also boasts a quiet trimmer line that can help to reduce noise by up to 50%. 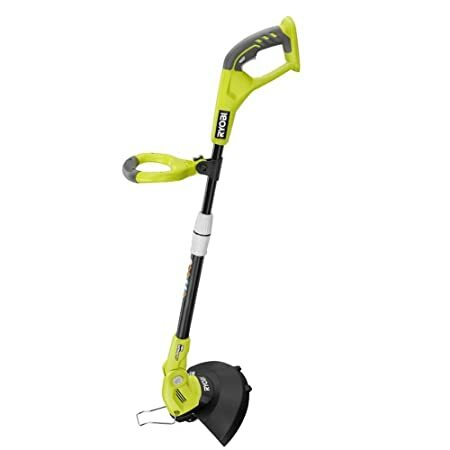 This battery-powered weeder comes complete with a 40V lithium-ion battery and charger that provides fade-free power with a longer overall runtime. Thanks to the adjustable cutting width, you can choose to maximize your cutting time or battery life. 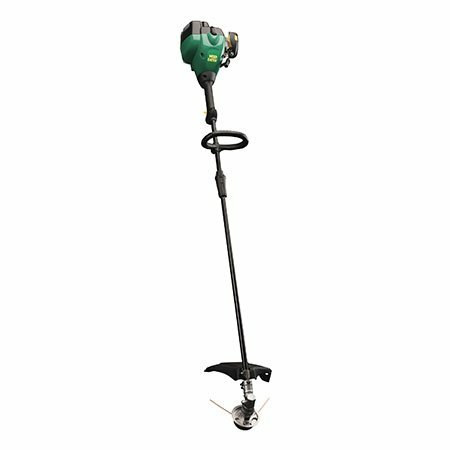 This battery-powered weeder come complete with a high capacity 40V battery that provides longer runtimes without self-discharging. You can maximize runtime in different trimming conditions thank to the integrated variable speed control. 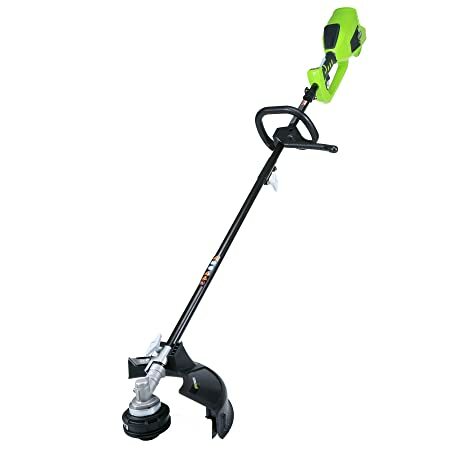 This battery-powered cordless string trimmer boasts a 12-inch cutting path and features a pivoting head that allows the unit to easily convert for both edging and trimming capability. This corded electric weeder boasts an incredibly lightweight design and ergonomic handle that helps to reduce operator fatigue and features a maintenance-free blade for added convenience. This gas-powered weeder features a smart start fuel pump that allows for easy startups, plus it has been fitted with a J-handle and harness for increased ergonomics to help prevent operator fatigue. It has been made in the USA and is suitable for even the toughest jobs. 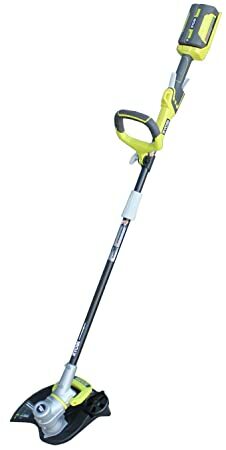 This battery-powered string trimmer boasts a wide 16-inch cutting path that helps to cut down on the time you spend outdoors trimming. Thanks to its unique design, it can accept attachments and accessories from gas-powered models. This gas-powered weeder features a straight shaft and a lightweight design that makes it comfortable to use and helps to reduce operator fatigue. The wide, 18-inch cutting width helps cut down on the time you spend trimming. 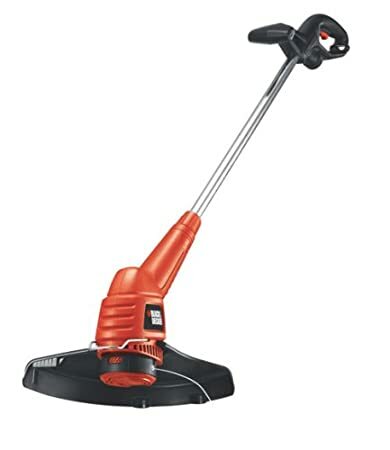 This gas-powered trimmer features a long lasting and powerful 25cc, 2 stroke engine and a curved shaft with split boom that allows for a comfortable, ergonomic design. The 17-inch cutting path means you’ll complete your trimming with fewer passes and in less time. 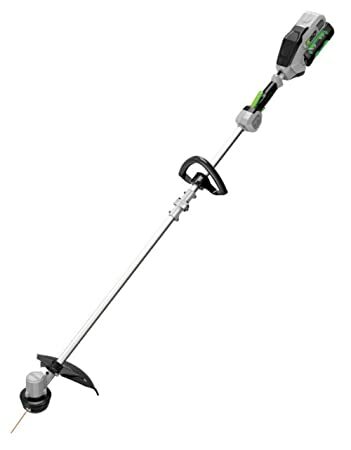 This battery-powered string trimmer comes complete with a 40V battery and charger that charges in just 2 hours. It provides quality power thanks to its brushless motor, which delivers greater torque to the unit. This gas-powered weeder features a curved shaft and lightweight design that is easy to use and helps to reduce operator fatigue. 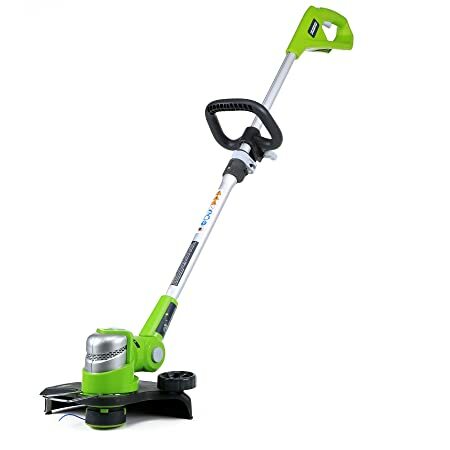 Quick start technology makes starting easier and the convenient dual line bump head allows you to quickly switch from weeding to edging your lawn. This battery-powered weeder boasts integrated variable speed control that allows for additional runtime without sacrificing on performance. The straight shaft design and pivoting cutting head make for a user-friendly design that is ideal for trimming in all sorts of terrain.